The new touch-screen display in tempered glass has been designed focusing on the user. Smart and eye-catching, its user-friendly shape is really clear and easy to use. The handy Start icon changes belonging to the warewasher activity while a timer shows the cycle progress. We introduced 20 different washing cycles able to answer every customers’ need; they correspond to easy icons representing flatwares, so you just have to look at what have to be cleaned and the deed is done: no more hard trainings for the employees and always perfect washing results. 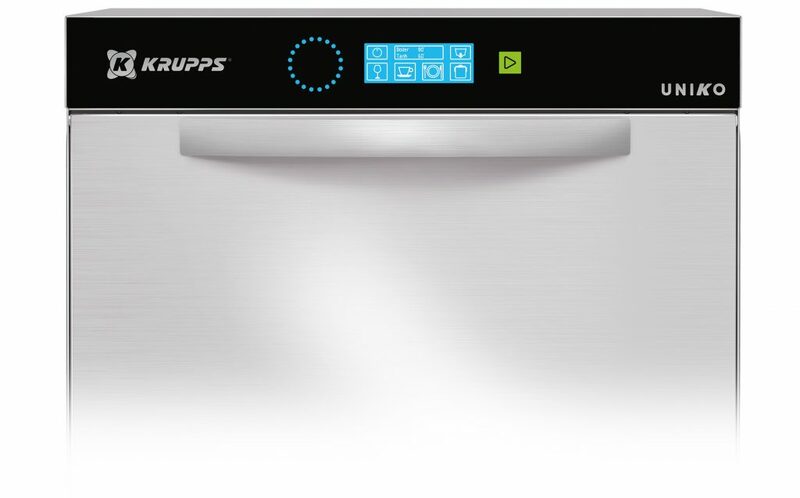 The constant Self-diagnosis grants the downtimes reduction since it suggests some easy checks and sends automatically the service a message describing the situation (for the real-time message to the service the warewasher have to be connected with iKloud). Our aim is to grant you always excellent results, that’s the reason why the warewashers advises you as far as is time to do its technical maintenance. Why a restaurant should choose iKloud? To improve its cost-effectiveness and increase its customers’ satisfaction. Thanks to iKloud you are always connected with your warewasher, so you can manage at best its consumptions and working hours, saving more money. Meanwhile the engineer is always connected too, so he is able to change every parameter instantly belonging to your requirements, offering you a never seen after-sales service. Indeed with iKloud the engineer can access the machine by distance and modify everything like being in front of it. Look at the video presentation and click here for our brochure!